This year the International Association of Morphologists (IAM) is 27 years old. She was established in 1992. She was the legal successor of the All-Union Society of Anatomists, Histologists and Embryologists. The Association has united scientists and teachers of the CIS countries working in various fields of mofologicheskoy science: anatomy, histology, embryology, topographic anatomy, veterinary morphology, anthropology, cytology, etc. . The second president of IAM was a corresponding member. RAMS, professor Bazhenov Dmitry Vasilyevich (Tver, Russia). In May 2016, at the XIII Congress of IAM in Petrozavodsk, a corresponding member was elected as the President of IAM. RAMS, Professor, Head of the Department of Histology A.I. 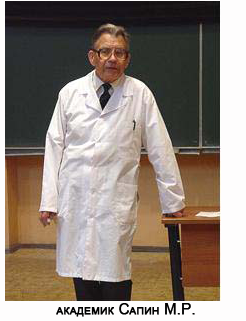 Yevdokimov Moscow State University of Medicine and Dentistry Banin Viktor Vasilyevich. The Association coordinated the work of national societies and individual scientists of the CIS countries. IAM co-founded the scientific journal "Morphology". I Congress - in 1992 (Smolensk, Russia). II Congress - in 1994 (Tyumen, Russia). III Congress - in 1996 (Tver, Russia). IV Congress - in 1998 (Nizhny Novgorod, Russia). V Congress - in 2000 (Ulyanovsk, Russia). VI Congress - in 2002 (Ufa, Russia). VII Congress - in 2004 (Kazan, Russia). VIII Congress - in 2006 (Oryol, Russia). IX Congress - in 2008 (Bukhara, Uzbekistan). X Congress - in 2010 (Yaroslavl, Russia). XI Congress - in 2012 (Samara, Russia). XII Congress of IAM - in 2014 (Tyumen, Russia). XIII Congress of IAM - in 2016 (Petrozavodsk, Russia). XIV Congress MAM - in 2018 (Astrakhan, Russia).